Planning is something most people do to make sure they stay on task. God has plans for each of us too. In the Scriptures, Jeremiah speaks of thoughts the Lord has for us, plans of peace and prosperity. But did you realize that Satan has plans for you as well? Satan is after your name and reputation. When you wake up every morning, he has already plotted how to come against you that day. You have a choice. Whose plan are you going to follow? Call on the Lord for help and guidance in every day. What a wonderful Savior Jesus is. He warns us against things that Satan will use to harm us or cause us to question God. Satan wants to steal our purpose, vision, joy, and family through doubt and discouragement. One thing Satan cannot steal from a Christian is salvation. When you trust Christ as your Savior, believe He died on the cross for your sins and repent, you are accepting the gift of Salvation which is your eternal security. Romans 8:38-39 (KJV) For I am persuaded, that neither death, nor life, nor angels, nor principalities, nor powers, nor things present, nor things to come, nor height, nor depth, nor any other creature, shall be able to separate us from the love of God, which is in Christ Jesus our Lord. Praise the Lord for six souls saved at the Plant City Flea Market on Wednesday. Once again God blessed the faithful workers from SOS Events ministry for their dedicated work. Jesus came into the world to save sinners and He is pleased and brings the lost to the booth to hear the gospel. The Christian Life Study Outlines and Notes are the amplification of a ministry of over 35 years, both in the pastorate and in the field of teaching and evangelism. These lessons by Porter Barrington on the Great Doctrines of the Bible are simple without being ordinary, short without being shallow, brief without being dwarfed, positive without being over-formal and comprehensive without being complicated. They were produced to fill a need in the life of the average Christian, to provide an incentive to know more of God’s Holy Word. If diligently studied, they will help to establish you in the faith and give you spiritual confidence. It is suggested that you study the Master Outlines in the order given; one each day for fifteen days, and at the end of fifteen days, you will know more about the New Testament than you ever thought possible. This study is equal to an advanced course in Systematic Theology. If you review these lessons often, you will continue to grow in the knowledge of our Lord and Savior Jesus Christ.. They are reproduced for you to the right of the blog. Start you study today. You will be blessed. This past Saturday SOS Events had a booth in Zephyrhills Florida at a community event. Four people were saved and we are rejoicing in their salvation. It is always a blessing to see souls saved and it gives us great pleasure when the soul winners are new event leaders. So thank you Bob and Ginger for overseeing this new event for the ministry. Hopefully it will become an annual event. Some of the staff and Senior Servants of SOS Events attended a conference, looking forward to growing deeper in the knowledge of the Lord. One Scripture reference taught was Psalm 62:6, giving focus on the fact that you can be unshakable when you let God steady your life. When you are out of balance in just one area of life whether emotionally, mentally, physically or spiritually then you become wobbly like a four legged table with one short leg. Look to God to help you in every aspect of your life. You can be unshakable in Him. In the happy moments, praise God. In the difficult moments, seek God. In the quiet moments, worship God. In the painful moments, trust God. In every moment, thank God. As a Christian it is our responsibility to pray for our leaders. Some people are happy that Donald Trump is our president and some people are not happy, but the Bible says to pray for those who have authority over us. 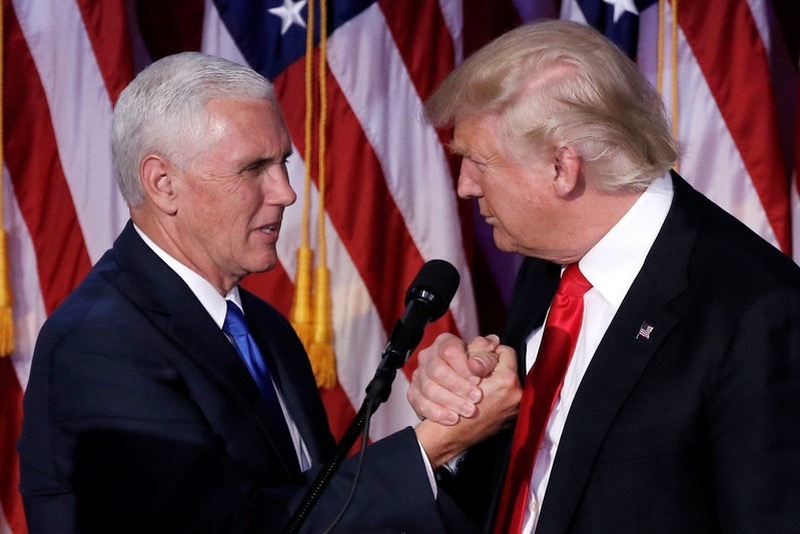 We need to pray that God will give President Trump and Vice President Pence wisdom to lead America in the right direction. Only God can bring peace and prosperity to our country. Let us join together in prayer for all our government leaders and that our country will reunite in peace. 1 Timothy 2:1-2 I exhort therefore, that, first of all, supplications, prayers, intercessions, and giving of thanks, be made for all men; For kings, and for all that are in authority; that we may lead a quiet and peaceable life in all godliness and honesty.